Only Seven names have been revealed so far. The arrested Federal Police Officers are: Gelacio B. H ; Eduardo Francisco PF; Rafael BR; Pánfilo MH; Octavio CM; José Luis N. O and the sub-officer of the FGE Víctor GR, who presumably belongs to an intelligence group under the command of the director of the State Investigation Agency, Alberto García Ocaña. 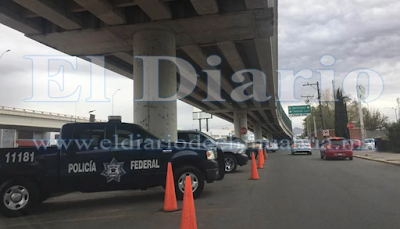 Chihuahua, Chih: The nine police officers that were arrested last night accused of extortion, eight Federal and one State Prosecutor, wanted $60,000 dollars in exchange for not arresting a citizen that is allegedly wanted by the US authorities, sources inside said the State Attorney General's Office. It was announced that at the time of the arrest of the eight federal police officers and an agent of the State Attorney General's Office, when they were subjected to a search they had in their possession 13 portions of marijuana, nine of cocaine and three of crystal meth. The nine policemen arrested accused of the crime of extortion, brought 25 portions of different types of drugs, for which they will also be accused of crimes against health, informed sources of the prosecution. It transpired that the victim was located by the police when he learned that the DEA was looking for him and in exchange for not stopping him and delivering him, they demanded the money; $60,000. The victim reported the facts in Internal Affairs of the prosecution and in a matter of hours the operation was launched to arrest the nine officers in "flagrante delicto" of their official duty. During the capture operation, the personnel of the Specialized Prosecutor's Office in Control, Analysis and Evaluation, formerly called Internal Affairs, detained the police officers and confiscated their firearms , as well as two official patrols of the Federal Police and the car particular of the Investigative Police agent. The operation in which the nine extortion police officers were arrested was directed by the Internal Affairs Officer of the Office of the Prosecutor, Erika Jasso, and was held on Friday night. This operation led to the arrest of nine policemen, eight from the Federal Police and one from the State Police, who asked for $ 60,000 from a subject that was apparently wanted by the DEA. The capture of the alleged extortionists was carried out in the parking lot of a shopping center located at the intersection of Homero and Tecnológico avenues, where they would have gone to receive the payment of an alleged extortion. This must be rare, ratting on corrupt police and the government actually doing something about it. Bravo even know the snitch is wanted by the DEA. Rare indeed. Looks like the suspected criminal did not have the bribe money required by Mexican officials. Added,with the possibility of becoming a missing victim like many for not complying would mean turning oneself in for security reasons. Just the smart thing to do for his longevity. Yet some people think that officers are killed in cd Juarez for being the "good guys"??? Can't trust the police, then who can you trust? You don't trust anyone. If you don't learn that right away you will be a statistic. That's why a overhaul of policemen is necessary to rid of corruption. Hopefully, AMLO will implement this new strategy to help and provide citizens with security. Question is how many will fail the trustworthiness exam? Wouldn't be surprised if there is a shortage of applicants like that in the US who can't pass a drug test for employment. Tanta pinche corruption en Mexico desde los putos alcaldes del los pueblos hasta el perro president. What about all the policias in Cancun, Los Cabos etc. who make a living extorting gringo tourists? Tourism is down big time in Mexico and I suspect the endless horror stories about corrupt police is a big reason for this. Prosecutor Erika Jasso has her own corrido. Sol Prendido: The video you recommended is chilling but left me wondering much more about how the kidnapped victims suffered (besides being starved to death). Horrors to think about this whole thing. Leave Los Cabos out of it. Tourism is heavy as ever, can't get a room anywhere. Traffic jams it's so busy. No bribing police in Los Cabos, ur full of it. Sure can tell when someone is watching CNN. Everything is fine in Los Cabos, very much like small town America. Generally very quiet. If it weren't for that damn tequila, it would b silent. Salute! Los Cabos has had many murders too, there's a cartel Los Canas, that also want to rule there. IMO: Don't you hate it when the suspects' eyes are blacked out? To me, peoples' eyes are very important and pictures of faces without them are worse than worthless. 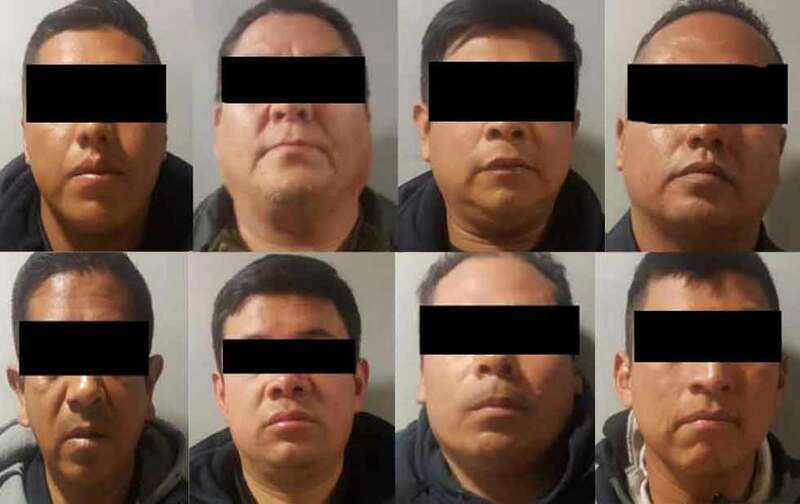 They are caught Red handed, and are criminals, and they still end up getting, thier eyes blacked out...I agree with Mexico watcher that is not fair. They do it, so when set free, people won't be able to match them with photos.